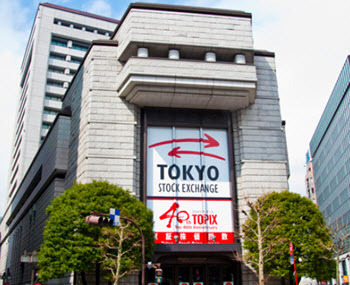 Located in the Japanese capital, the Tokyo Stock Exchange (TSE) is the largest stock exchange in Asia and the fourth largest stock exchange in the world, by aggregate market capitalization of its listed companies. Its (transcribed) japanese name is Tōkyō Shōken Torihikijo, and it is commonly known as Tōshō. All transactions on TSE are electronic. The trading floor was closed on 30 April, 1999, to facilitate a switch to electronic trading for all transactions. 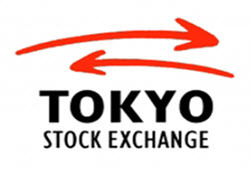 Since 2013, the Tokyo Stock Exchange is a part of the Japan Exchange Group Inc (JPX), a company formed by the merger of TSE and the Osaka Securities Exchange. JPX operates multiple securities exchanges and the Japan Securities Clearing Corporation. The exchange is open for trading Monday through Friday, except for holidays included in the TSE holiday calender. TSE is headquartered at 2-1 Nihonbashi Kabutocho, Chūō, Tokyo. Nihonbashi is a business district in central Tokyo. It was a major mercantile center during the Edo period (1603-1868). TSE moved into its current building in 1988, leaving the old 1931 TSE building. The two most well-known indices for the Tokyo Stock Exchange are Nikkei 225 and TOPIX. For those interested in tracking only the larger Japanese industrial companies, there is the J30 index. Nikkei 225 is a price-weighted index where the components are reviewed once a year. The currency is JPY. During trading sessions, the index is updated every 15 seconds. The components are selected by Nihon Keizai Shimbun (Nikkei), Japan’s largest business newspaper. This newspaper has calculated the index since 1950, but back then, the index was not updated every 15 seconds during trading sessions. The Tokyo Stock Price Index (TOPIX) tracks all domestic companies on the TSE First Section. Unlike the Nikkei 225, TOPIX is calculated and published by the exchange. Originally, TOPIX used a system where a company’s weighting was based on the total number of shares outstanding. 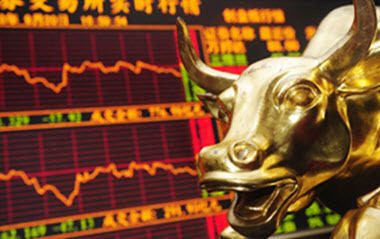 In 2005-2006, TOPIX gradually transitioned into a system where weighting is instead based on the number of shares available for trading (the free float). Tokyo Kabushiki Torihikijo was established in May 1878 under the direction of Finance Minister Okuma Shingenobu and industrialist Shibusawa Eiichi, widely known today as the “father of Japanese capitalism”. Trading commenced on 1 June, 1878. In 1943, Tokyo Kabushiki Torihikijo merged with ten other stock exchanges in Japan to create a united Japanese stock exchange, the Nippon Shōken Torihikisho. Nippon Shōken Torihikisho was closed after the bombing of Nagasaki and re-opened again as Tōkyō Shōken Torihikijo on 6 May, 1949. TSE went through a huge boom in the 1980s and by 1990 it accounted for over 60% of the world’s total stock market capitalization. It then fell in value, but it is still a very large exchange – the 4th largest exchange in the world by market capitalization of listed shares.